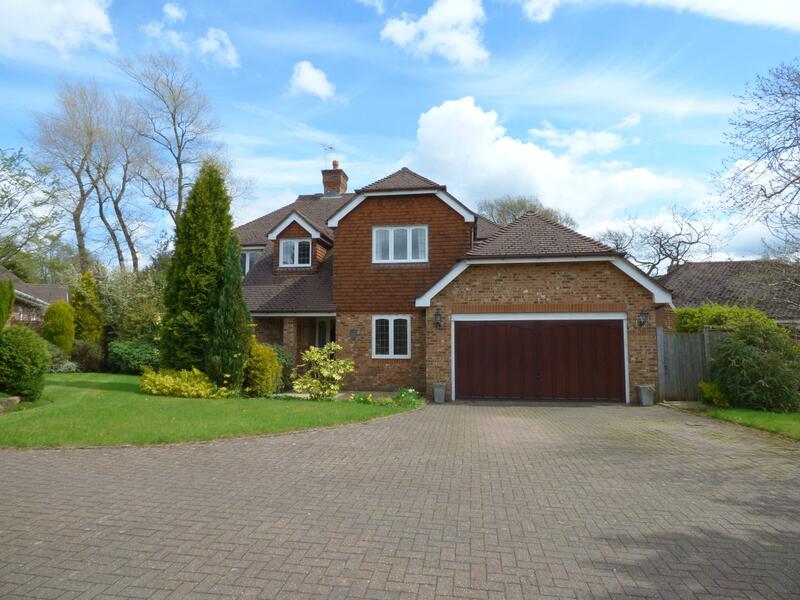 We are delighted to offer for sale this impressive executive detached residence, offering extensive and immaculately presented accommodation and situated within a large plot on a small exclusive development on the highly sought after ‘leafy’ Alders Road in Disley. 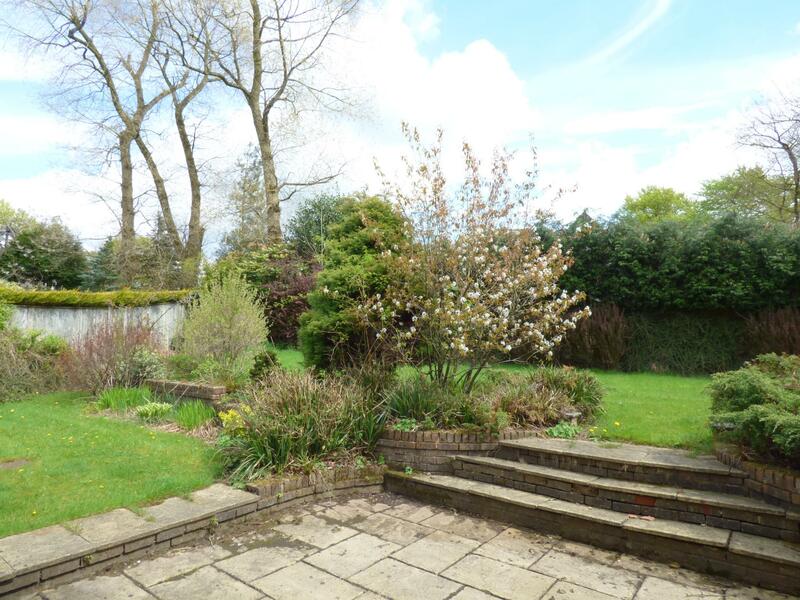 The property boasts extensive mature landscaped grounds, along with ample off road parking and a double garage. 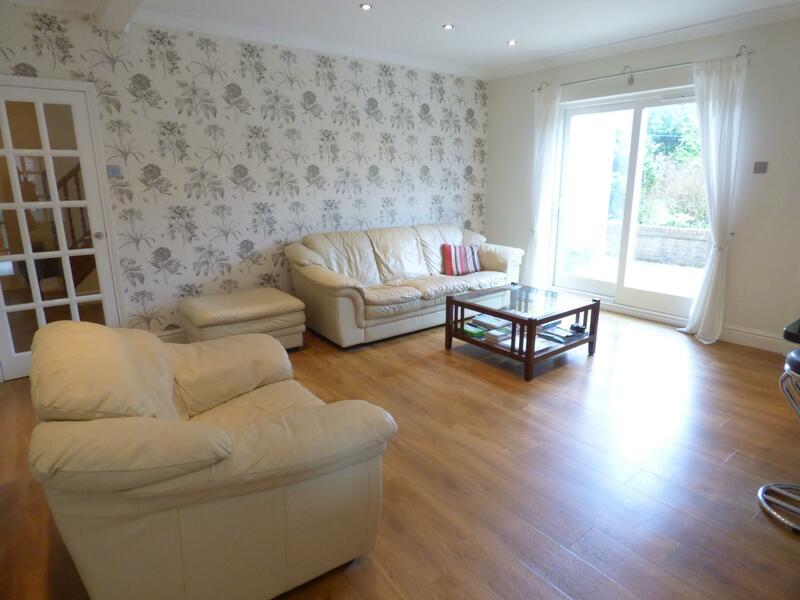 The property is extremely well placed, enjoying an ease of access to both Disley & High Lane centres, along with offering excellent commuter links, with Disley train station and various bus services close by. 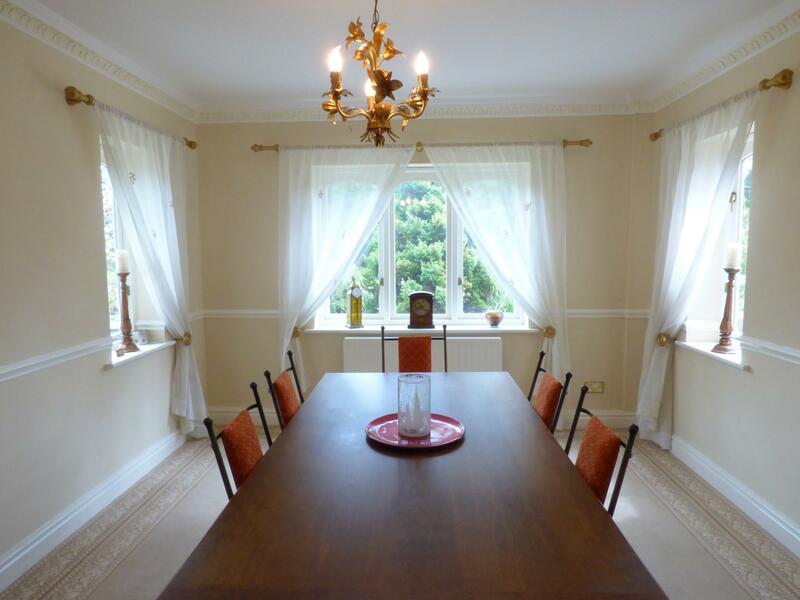 The area offers excellent schooling with highly regarded local state schools and a wide choice of private schools within easy striking distance. In brief the vast accommodation consists of a entrance porch, leading to the grand & welcoming reception hall with cloakroom/WC. 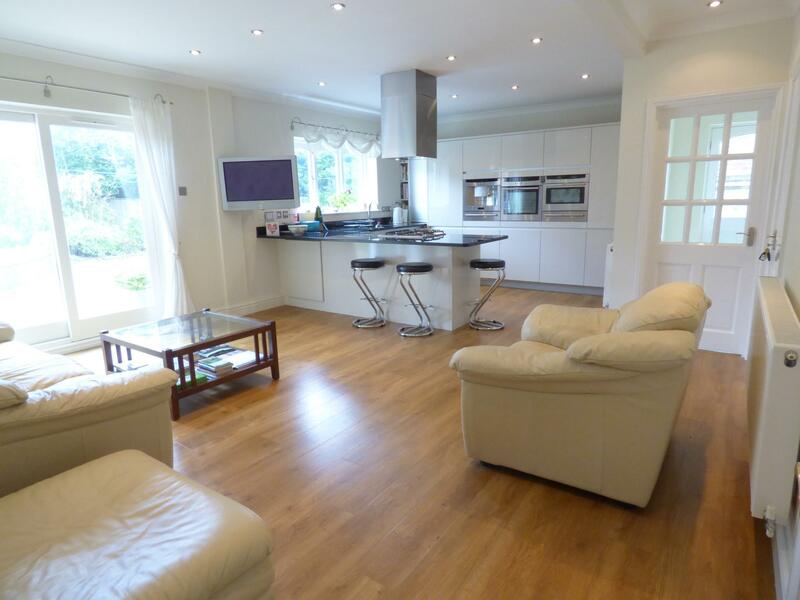 There is then a large and contemporary kitchen/family room with high quality John Lewis kitchen, with the added benefit of a large utility room. 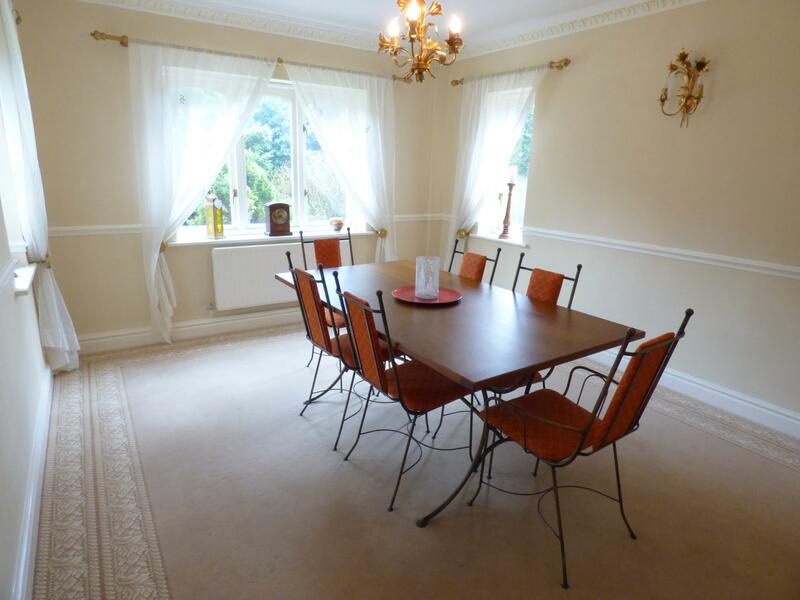 The ground floor also offers a cavernous lounge, study and formal dining room. 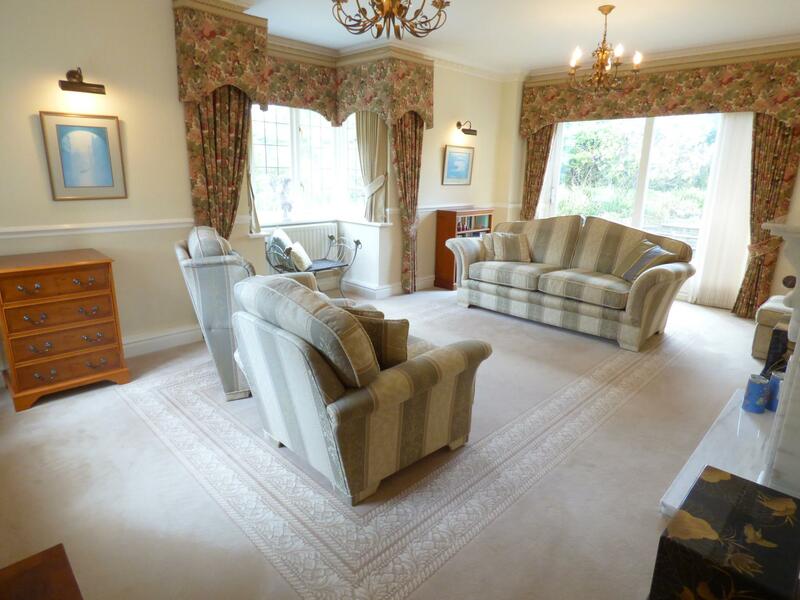 The first floor reveals five large bedrooms, with the master having an en-suite. The remaining bedrooms are serviced by the family bathroom. 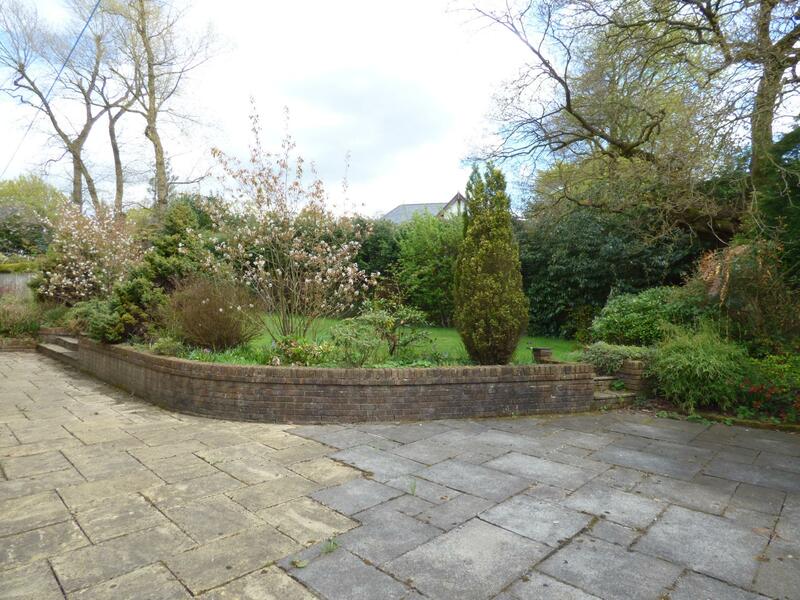 The property is approached over a block paved drive way which provides ample parking facilities and leads to the double garage. The drive way passes the landscaped curved front lawn, with its mature trees, bushes and flowering shrubs. The rear garden is mainly laid to lawn, again boasting mature trees, bushes and flowering shrubs which offer a high degree of privacy. There is a large patio area to enjoy. A covered storm porch with security light. 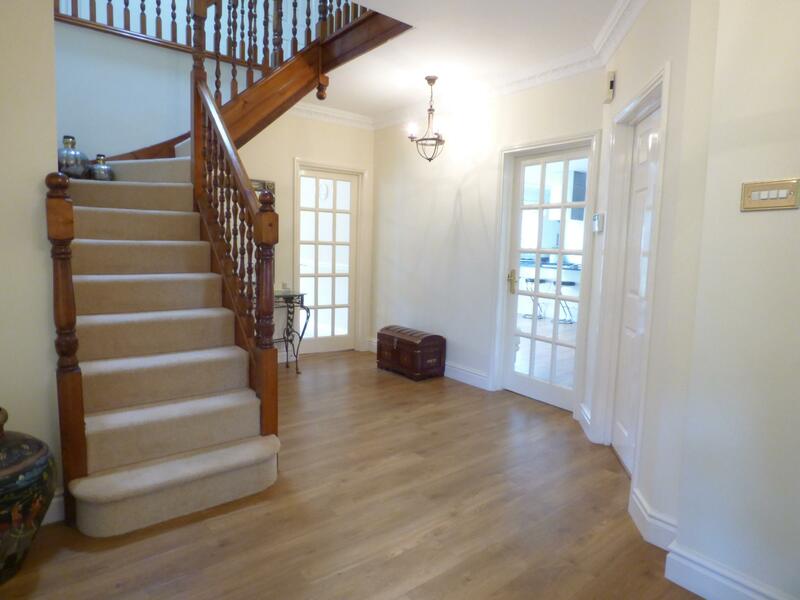 A grand and welcoming entrance hall, with wooden entrance door and double glazed window to the side, attractive rustic oak effect Amtico flooring, two ceiling light points, under stairs storage cupboard, power points, ornate coving to the ceiling, spindle balustrade stair case ascending to the first floor galleried landing, alarm control panel. With continuation of the attractive rustic oak effect Amtico flooring, the WC/Cloakroom has been fitted with a low level WC, vanity wash hand basin, part tiled walls, ceiling down lights, radiator, double glazed window to the side and coving to the ceiling. 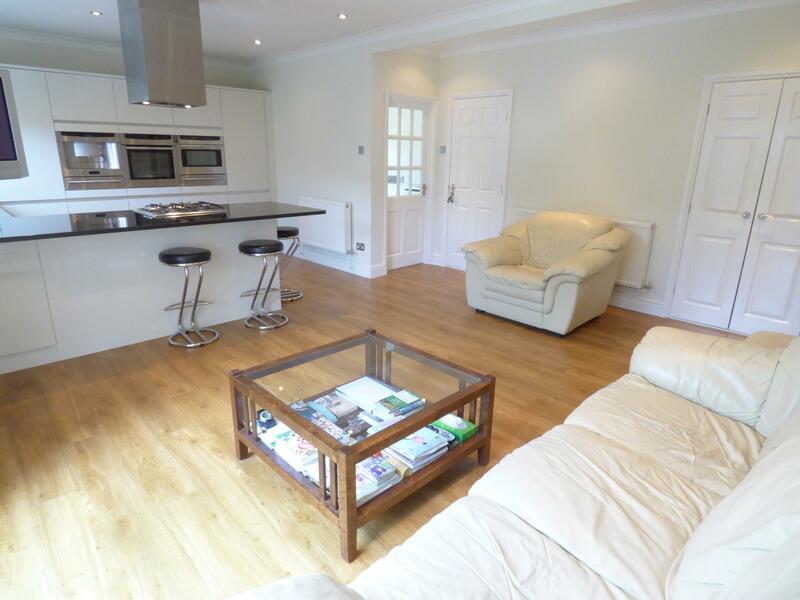 A bright room, with the continuation of the rustic oak effect Amtico flooring, coving to the ceiling, ceiling down lights with dimmer, two double radiators, power points, TV point and useful double storage cupboard with ample hanging space. Fitted with a modern range of John Lewis kitchen units, boasting an array of soft close cupboards, with deep pan drawers, carousels, spice racks, recycling tubs and useful storage solutions, complemented further by granite working surfaces that incorporate the inset 'Franke' one and a half bowl stainless steel sink unit with mixer tap. Integrated appliances include a four ring gas hob with contemporary Elica extractor fan above, Neff dishwasher, full size Liebherr fridge and freezer, Neff microwave & conventional oven, Neff fan assisted oven, Neff Coffee Machine and two warming drawers. 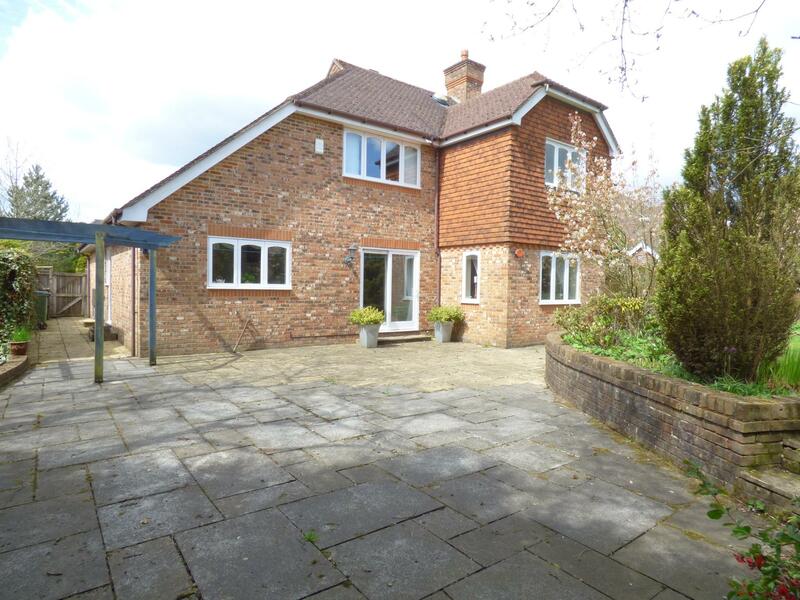 Double glazed window and double glazed sliding doors providing views and direct access to the rear garden. With double glazed door and window to the side, fitted with base units with roll top working surface and tiled splash backs. 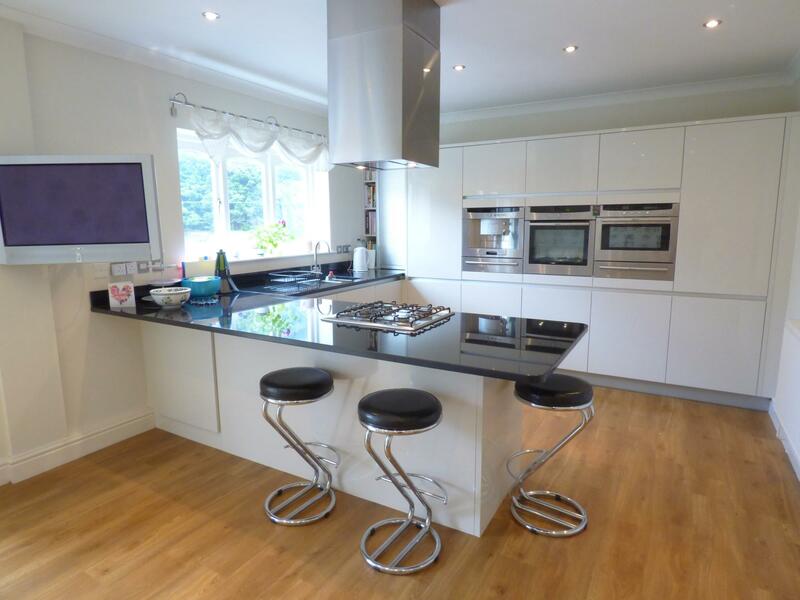 Stainless steel sink and drainer unit with hot and cold taps, fitted wine rack, space/plumbing for a washing machine and tumble dryer, power points, coving and ceiling strip light. 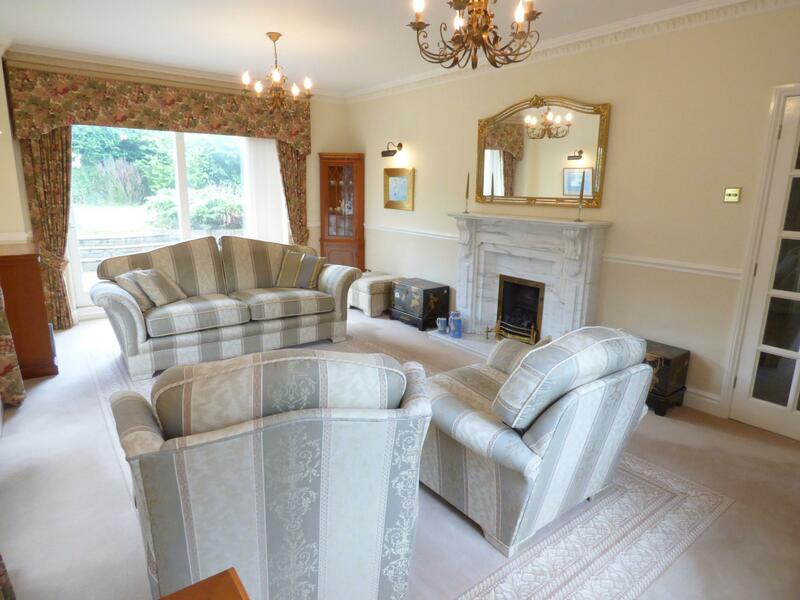 A large and bright room, with a feature marble fire place with a coal effect gas fire (additional set of wooden logs are available if preferred), large double glazed sliding doors providing pleasant views and access to the rear garden, double glazed window to the front aspect and bay window to the side elevation. Two radiators, dado rail, ornate coving to the ceiling, wall light points, and ceiling light point. TV points and telephone points. 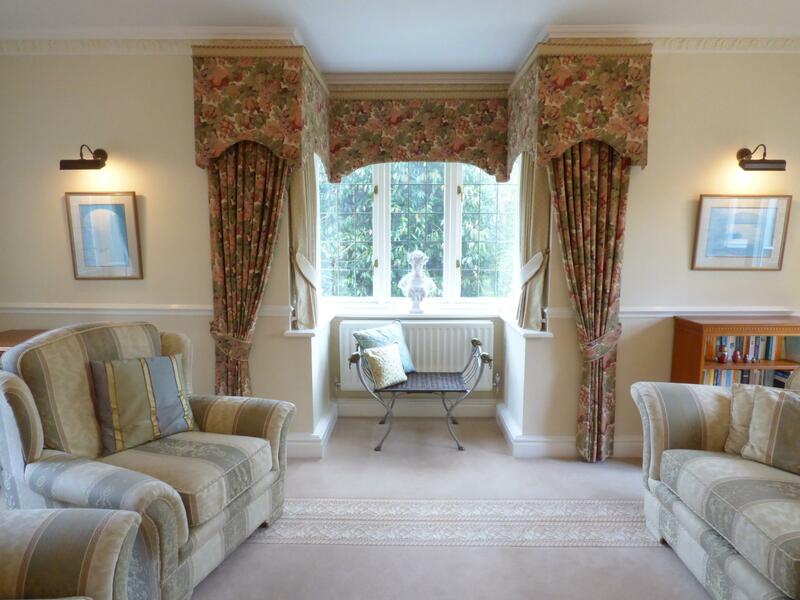 With double glazed windows to the front and both side aspects, dado rail, ornate coving to the ceiling, two wall light points, telephone point and power points. With double glazed window to the front aspect, ceiling light point, power points, ornate coving to the ceiling, radiator and telephone point. T.V point. With ornate coving to the ceiling, power and lights, including a sun tunnel, large airing cupboard and return of the spindle balustrade. With double glazed window overlooking the rear garden, two ceiling light points, radiator, coving to the ceiling, power points, TV points, three double walk in wardrobes with hanging space, one of which providing access to the walk in eaves storage area with lighting. Burglar panic alarm point. With low level WC, bidet, vanity wash hand basin with storage and enclosed shower cubicle, panelled bath with hot and cold taps and shower attachment. Part tiled walls, electric razor point, extractor fan, double glazed window to the front, radiator and coving to the ceiling. With double glazed window to the rear, coving to the ceiling, built in wardrobe with hanging space, radiator, power points, ceiling light point and TV point. 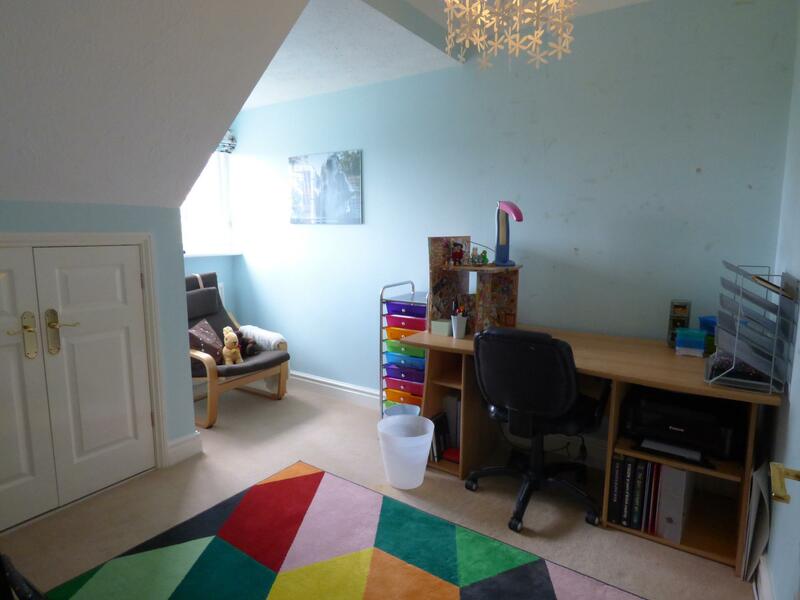 With double glazed window to the front aspect, built in wardrobes, coving to the ceiling, power points, ceiling light point, radiator and access to the loft hatch. We have been advised that the loft has light and has been boarded. With double glazed window to the front aspect, coving to the ceiling, built in wardrobe, ceiling light, power points and radiator. With double glazed window to the front, coving to the ceiling, radiator, power points and built in wardrobe. With double glazed window to the rear, part tiled walls, panelled bath with hot and cold taps and shower attachment, enclosed shower cubicle, low level WC and vanity wash hand basin, electric razor point, Radiator. With remote controlled electric garage doors, door to side, light, power points and loft access hatch giving way to the boarded loft storage area with light. 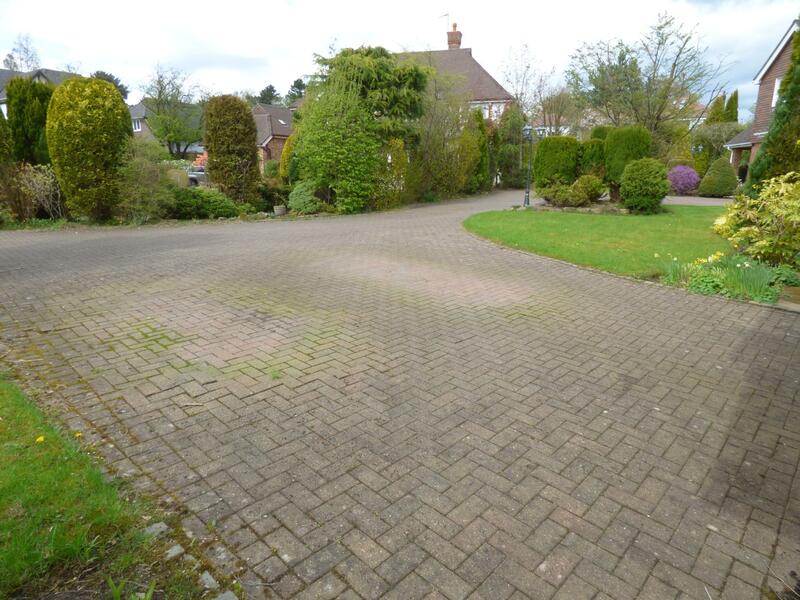 The property is approached over a block paved drive way which provides ample parking facilities and leads to the double garage. The drive way passes the landscaped curved front lawn, with its mature trees, bushes and flowering shrubs. The rear garden is mainly laid to lawn, again boasting mature trees, bushes and flowering shrubs which offer a high degree of privacy. 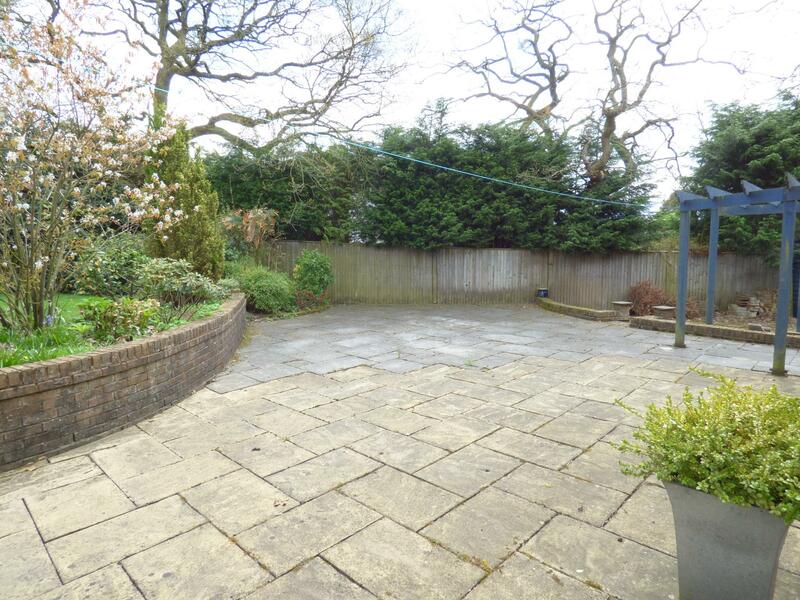 There is a large patio area to enjoy at the immediate rear of the property. 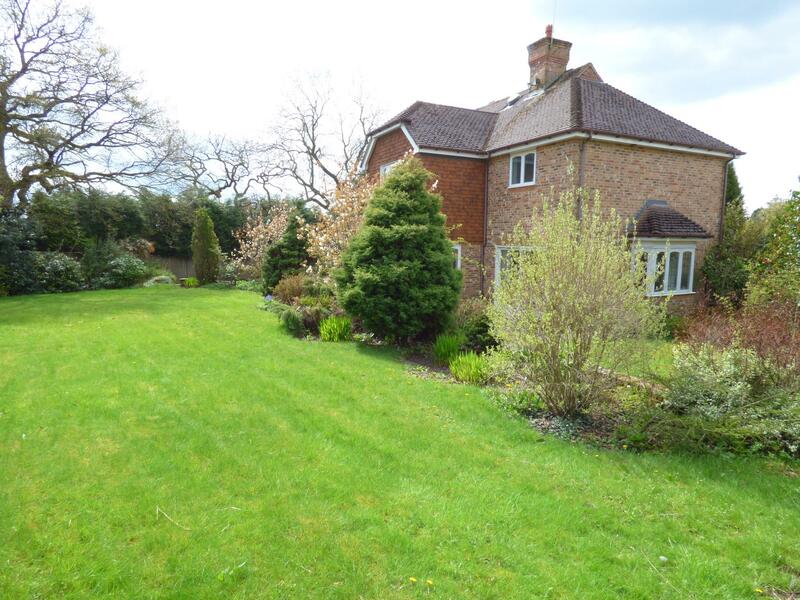 The property is secured with a gate to the side, has security lighting which is remote controlled and there is an outside water tap. 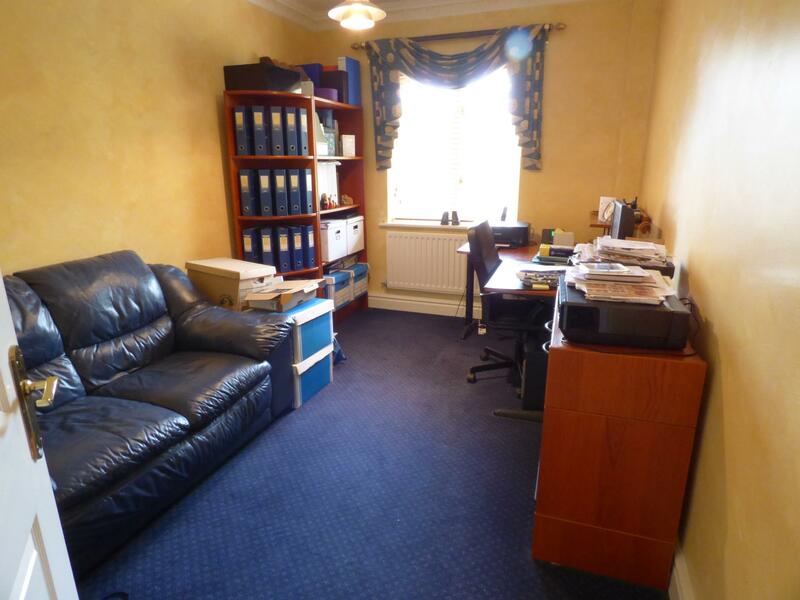 We have been advised that the property is Freehold and free from chief rent. 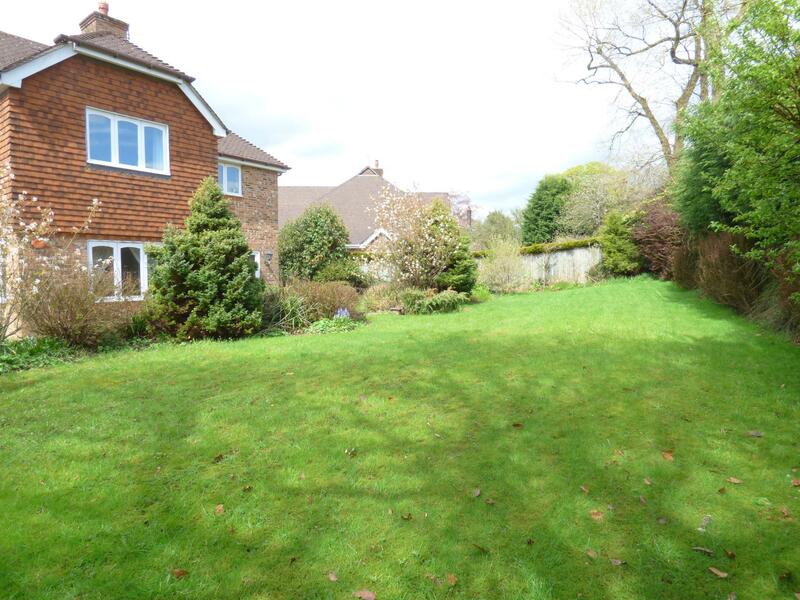 From our High Lane branch, proceed along Buxton Road in the direction of Disley, taking the second left on to Alders Road where the property will be found at the very top, marked by our For Sale board. MISREPRESENTATION ACT 1967: Ian Tonge Property Services give notice that these particulars, whilst believed to be accurate, are set out as a general outline only for guidance and do not constitute any part of an offer or contract - intending purchasers or tenants should not rely on them as statements or representations of fact, but must satisfy themselves by inspection or otherwise as to their ac-curacy. No person in the employment of Ian Tonge Property Services has the authority to make or give representations or warranty in relation to the property.